My apologies for not releasing a NSLG post last week. I was busy with a few different things and it was all I could do to get one post out, much less two. Navy was number one again last week, but other than that I can’t exactly remember. However, that’s neither here nor there, because as we all witnessed firsthand last week, college football is an ever-changing landscape. 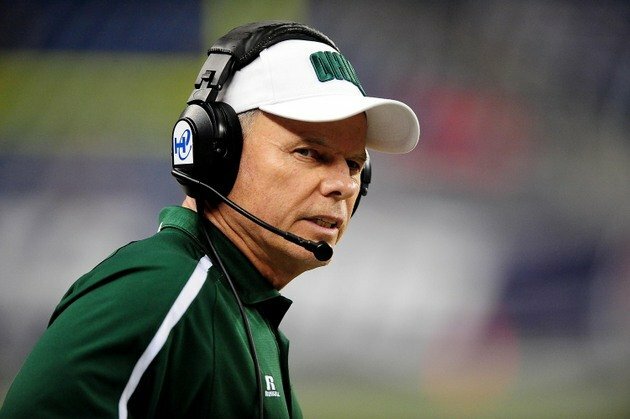 Frank Solich has done a much better job this year than I anticipated and the Bobcats look like a legitimate threat in the MAC. Derrius Vick has emerged as the quarterback completing better than 68% of his passes with seven touchdowns and just two interceptions. Beating Marshall is definitely the best win on the resume, and the three-point loss to Minnesota may end up looking worse in retrospect, but isn’t that bad putting things in perspective. This week Ohio gets in-state conference foe Miami (OH) at home and should get to 5-1. Marshall’s only loss being the one mentioned above looks better and better each week as Ohio continues to look good. The Herd are clearly not as good as they were last year, but they are still one of the three best teams in the C-USA. Devon Johnson has been the driving force of the offense at running back averaging 6.6 yards per carry. Chase Litton has also taken over the helm at quarterback for Michael Birdsong, after the latter suffered a shoulder injury. Litton has outplayed the precedent set by Birdsong, and should keep the job. 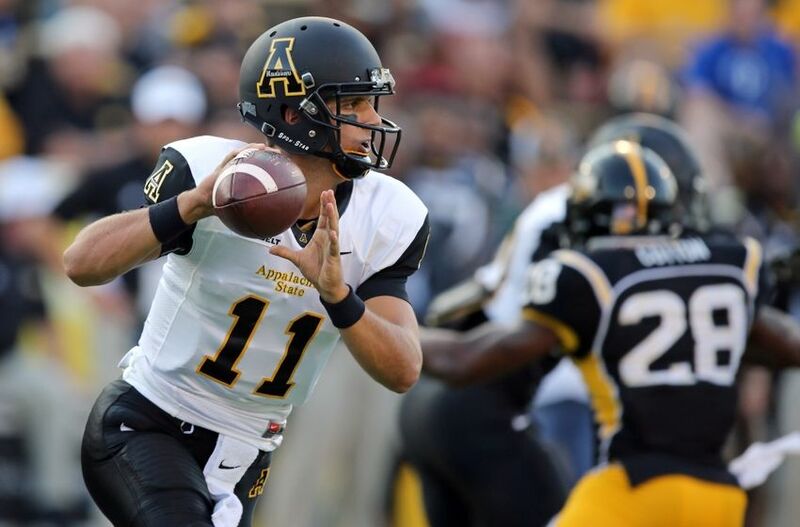 Marshall takes on a Southern Miss team that is definitively on the rise on Friday. Sure App State got beat like a drum by Clemson, but I mean it’s Clemson. I know they are most famous for “Clemsoning” but they are a legitimate top-15 team, maybe higher, and Appalachian State is two years removed from being an FCS team. The Mountaineers have been great defensively in their other three games pitching two shutouts and giving up 13 total points. They play Georgia State in “The Dome” this weekend and will almost assuredly get to 4-1. Before we discuss what WKU has done in the win-loss column this season, let’s pause and admire Brandon Doughty. Through five games, he has passed for 2,000 yards, fifteen touchdowns and two picks. The only slip-up so far is to an Indiana team that looks like it is better than it was last year. The Hilltoppers play Middle Tennessee this weekend in a game where the over/under might be set at around a hundred. Congratulations are in order for the Tigers, who cracked the Coaches’ poll this week. The 25th-ranked Tigers have been a stark contrast to what they were a season ago. Defense was the hallmark of the 2014 version of the Memphis Tigers, but this year’s teams has been built on offense. 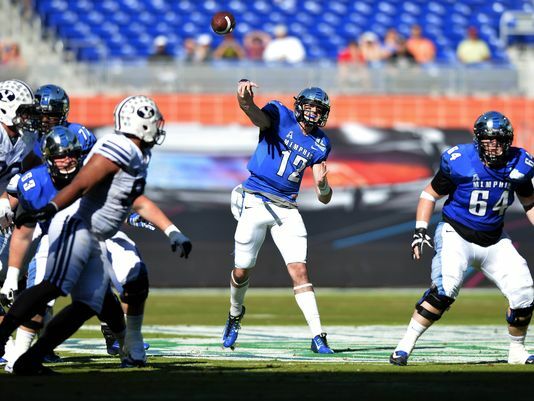 Paxton Lynch has thrown ten touchdown passes and no interceptions so far this season. Memphis has also won three of its five games on the road, so there are no questions about their ability to go into a “hostile” environment. The Tigers have a bye this weekend before taking on Ole Miss at home. The Broncos, perennial Group of Five favorites, got off to a slow start by their standards. The win over Washington was uninspiring, even if it was against a Pac-12 team, and then losing to BYU the following week was atypical for the Broncos. Since then though, the Broncos have rolled putting up 50+ in every game. Brett Rypien has replaced an injured Ryan Finley at quarterback, and has undoubtedly been better. Rypien has thrown six touchdown passes and no interceptions and is averaging almost ten and a half yards per attempt. Boise State travels to Colorado State this weekend. Toledo has to be feeling really good about their MAC chances this year with the biggest threats to a division crown, Northern Illinois and Western Michigan, unable to live up to preseason expectations thus far. The Rockets, on the other hand, have exceeded theirs by beating Arkansas on the road and beating Iowa State at home. 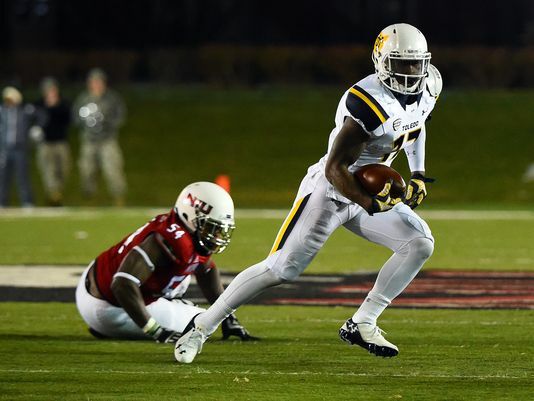 The remaining October schedule sets up well for Toledo to make it to November unscathed with home dates against Kent State and Eastern Michigan before traveling to Massachusetts to close out the month. Greg Ward, Jr. has been one of the top #dualthreat options in the country so far this season. Ward has over 1,000 yards passing with eight touchdown passes and only one interception. He’s also rushed for seven touchdowns, and has his Cougars undefeated. The most impressive win so far is the week two win at Louisville. Tom Herman has shown that he was definitely ready to be a head coach, and has Houston looking like a legit AAC contender. Houston plays SMU at home this weekend. The Owls have been hellbent on making it clear that the week one win against Penn State was no fluke. They’ve done a pretty convincing job, especially considering that they are still undefeated and that they have now won three consecutive road games. However, they haven’t looked quite as dominant, taking into account competition level especially, as they did in the opener. Temple has ample opportunity to show that these next few weeks though with home games against Tulane and UCF coming up. Navy has been the most impressive Group of Five team this season. They will be covered more extensively in tomorrow’s “Playoff Picture”, so we will just hit the highlights here, but this week is gut check time for the Middies. Navy essentially locked up the Commander-in-Chief trophy against Air Force this weekend, sorry Army, and now they get to take on Notre Dame this weekend. Go Navy, Beat Notre Dame!